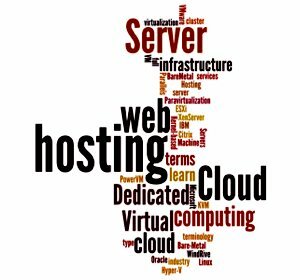 Dedicated Hosting And Cloud Computing Terms, A Knowledge Boost? In Daw Blog’s previous articles “Dedicated Server Hosting. How Did It Change With The Cloud?” we have talked about the significant developments which web hosting industry experienced within the last 10 years. They have changed the terminology we use today to describe IT hosting services. The world of web hosting has looked pretty simple for most of the time within the last two decades. Most of the terms and niche hosting services were easy to explain even to someone who had very limited technology awareness. Most of the IT Hosting and computing services used to be delivered from physical, bare-metal servers or from virtualized environments (virtual hosts) that worked on top of a stand-alone physical servers. Compute clusters and other form of networking models of computer systems have been around for long time, but were immature as technologies, lacked automation and most of them were infrastructure models build for internet use. All this changed since 2009. Without loosing more time on analysis in this article let’s move to the new terms used in todays Cloud-driven web hosting industry. This is the good old physical server. When you see a provider offering “Bare-Metal Servers”, it means that you get a physical dedicated server connected to Internet, either with or without any Operating System (OS) installed o the server. This is a dedicated server, created through a full-virtualization technology. Full Virtualization is a technique that creates a virtual computer environment which is a complete simulation of the underlying physical server. Full virtualization technologies are Kernel-based Virtual Machine (KVM), VMware ESXi, Microsoft Hyper-V, Oracle VM, IBM PowerVM, Citrix XenServer (Paravirtualization), Parallels Server BareMetal, WindRive Linux, etc. The Cloud Server is a “Virtual Dedicated Server”, hosted on a cluster infrastructure. This means that the compute (processing operations) and the data storage must be delivered from different physical server groups. The data of any Cloud-based server (Cloud Server) usually resides on storage area network. There three types of Cloud Servers – Public Cloud, Private Cloud and Hybrid Cloud. They are used to differentiate between the cloud servers open for public use and private cloud instances, created for internal use. “Public Cloud” is a computing instance (Virtual Server) accessible through Internet and available for public use. A Public Cloud is created through any virtualization technology and must reside on top of a Cloud computing infrastructure. Processing operations must be physically separate from the storage operations for any Public Cloud. Private Clouds are computer instances, which are not publicly accessible. Some of them donчt even use public IP addresses. A “Private Cloud” would be a dedicated Cloud computing infrastructure, hosted on the Cloud, but managed and operated internally. Like any “Public Cloud”, the Private one has to reside on top of a Cloud computing infrastructure. Processing operations must be physically separate from the storage operations. Term “Hybrid Cloud” refers to an integrated cloud computing environment setup in a ways to offer both services for public use and private computing environment for internal use. The public and private segments of any Hybrid Cloud are bound together, but they are still separate installations, which are connected on premise. To learn more about how the web hosting industry changed from physical dedicated servers to the Cloud, read article “Dedicated Server Hosting. How Did It Change With The Cloud?“.